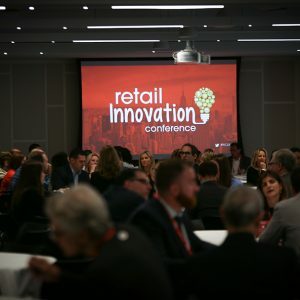 The 4th annual Retail Innovation Conference (#RIC18) had retailers from brands like Nike, Shinola and The Home Depot flocking to New York City to hear about the latest trends and technologies rocking the retail industry. 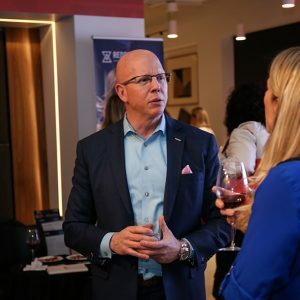 Whether you joined us for the event and need a refresher or just want to see what you missed, below is the definitive recap of RIC18. 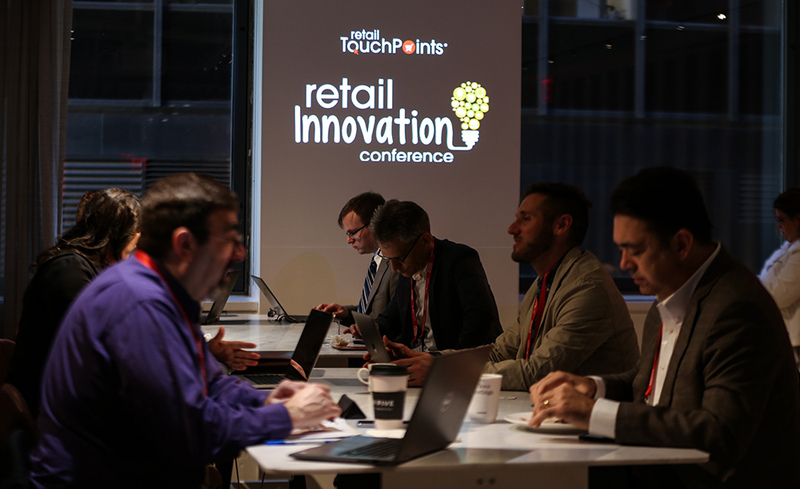 #RIC18 attendees enjoy the Retail Innovation Longue. 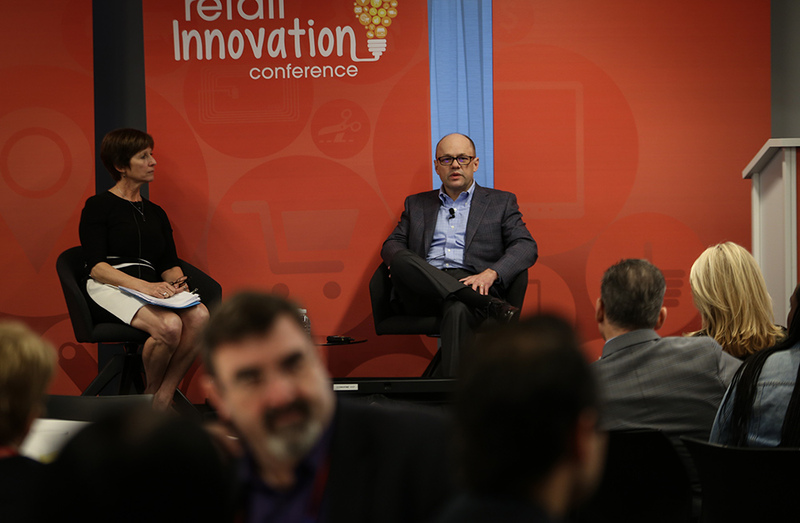 Walmart’s Clay Johnson talks “people-led, tech-powered” strategies. 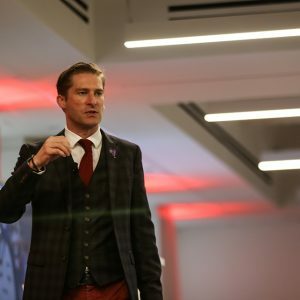 Keynote speaker Ken Hughes lays out the rules for engaging Gen Z shoppers. 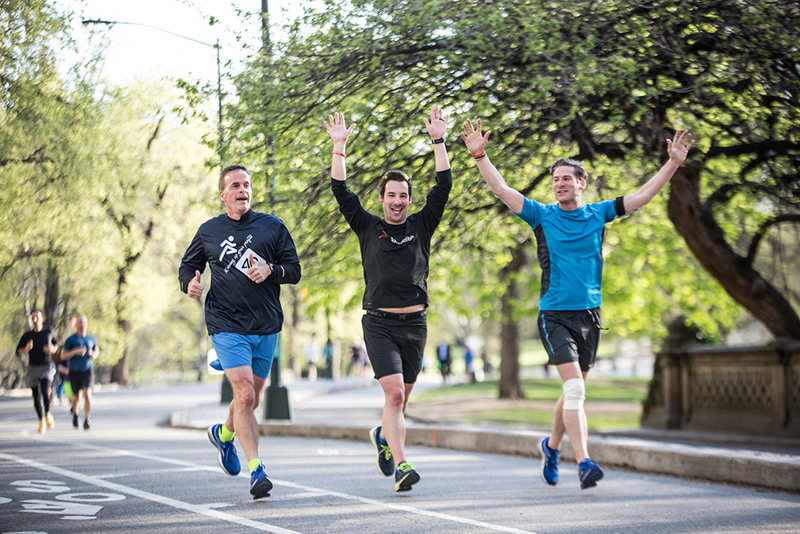 Participants of the 5K Fun Run celebrate crossing the finish line. Jordan Ekers, Spencer Barrett and Ryan Poissant enjoy the cocktail reception. 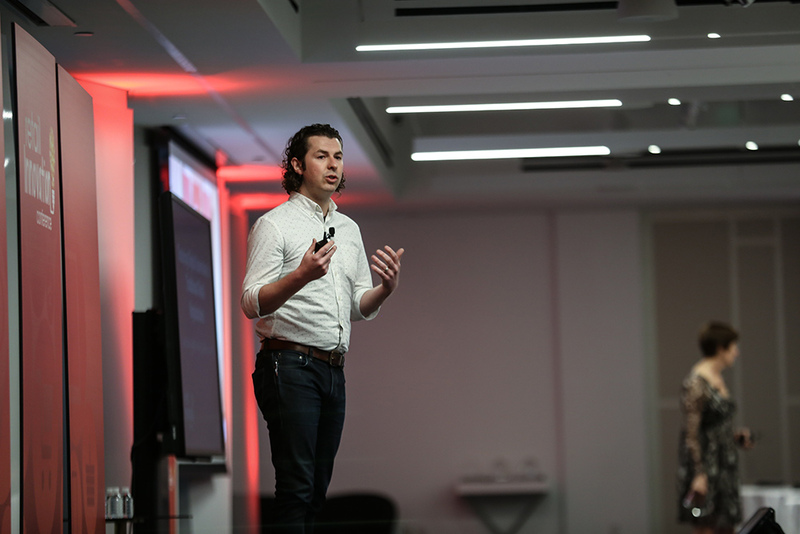 West Elm’s Luke Chatelain shares best practices for tackling changes in technology. 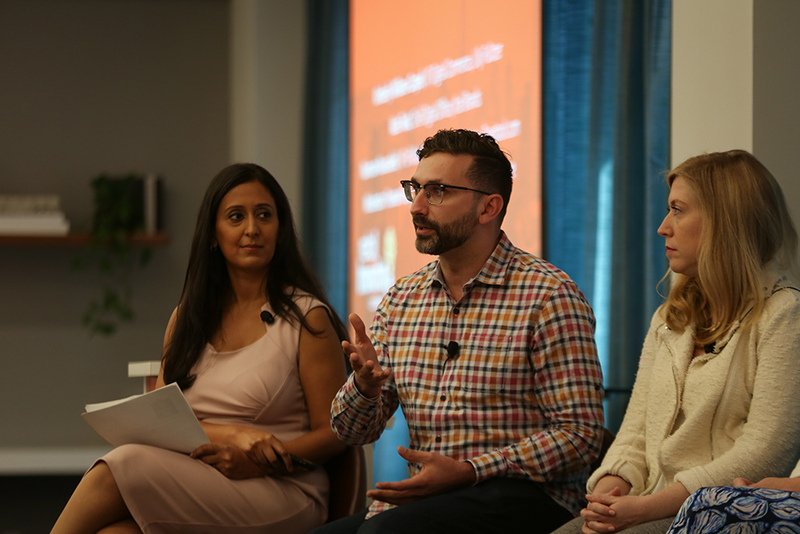 A panel of experts discuss the new retail possibilities crafted by artificial intelligence. Deloitte’s Kasey Lobaugh networks with peers at #RIC18. #RIC18 attendees network between sessions. 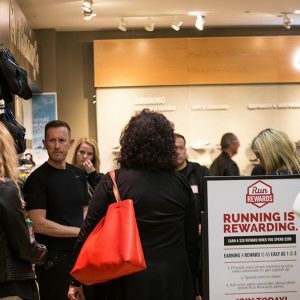 During the Store Tours, #RIC18 attendees had the opportunity to get a behind-the-scenes look at how some of retail’s leading brands operate and create engaging in-store experiences. 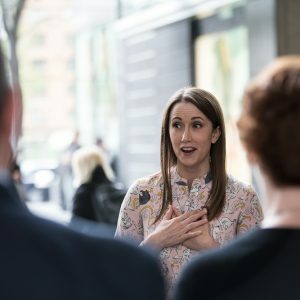 The tours took place at The Shops at Columbus Circle, where attendees visited TUMI, Sugarfina, Williams Sonoma, Amazon Books and New York Running Company powered by JackRabbit. 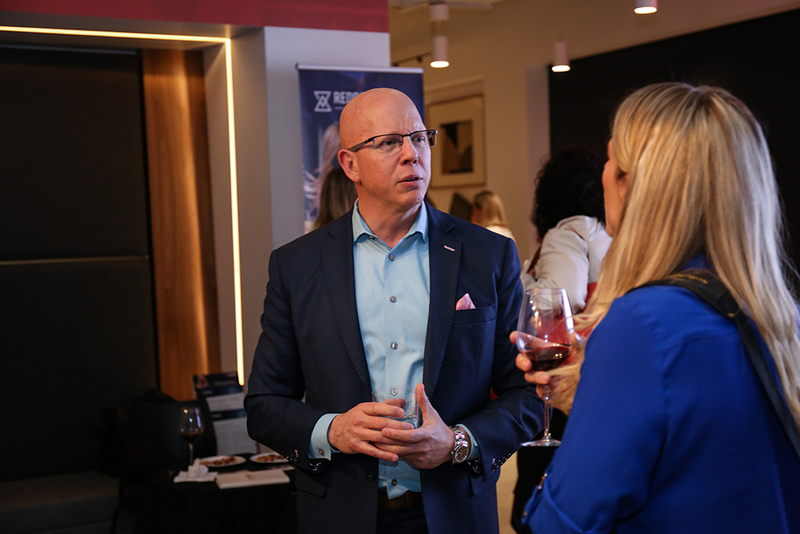 Discussions were led by top executives representing the brands. 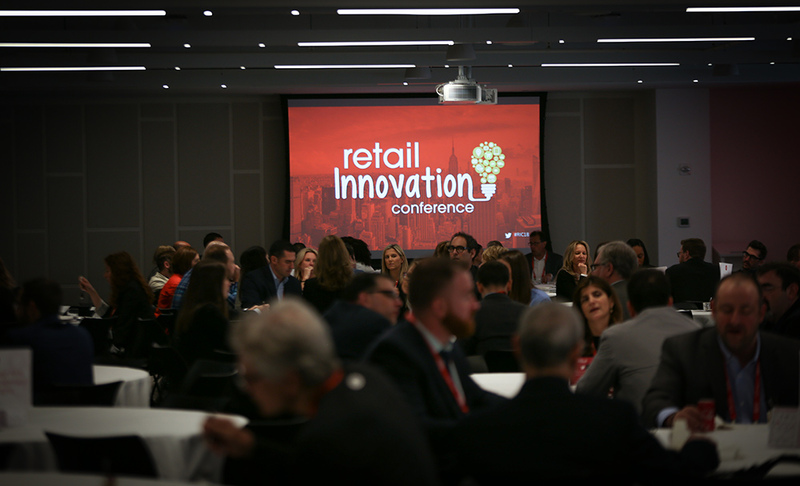 #RIC18 attendees gather to get a behind the scenes at look at leading retail brands. 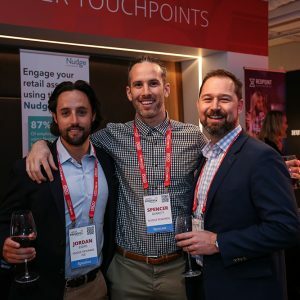 #RIC18 attendees network during the Store Tours. 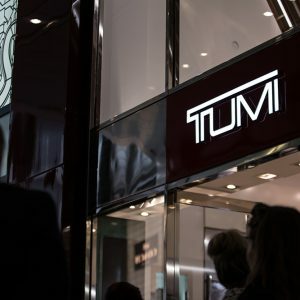 TUMI showcased how productive and successful a small space can be. Rosie O’Neill shares the history of Sugarfina with #RIC18 attendees. 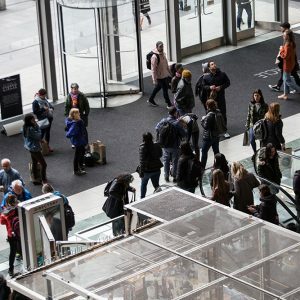 #RIC18 attendees meet at The Shops at Columbus Circle for the annual Store Tours. 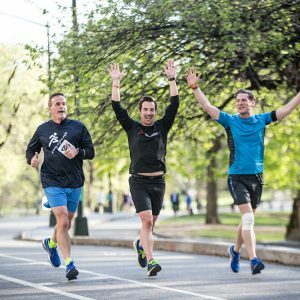 #RIC18 attendees check out New York Running Company powered by JackRabbit. 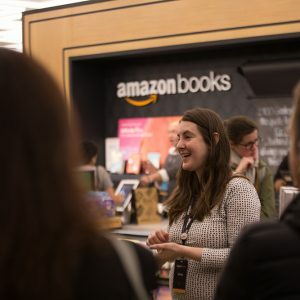 #RIC18 attendees explore one of the 15 physical locations operated by Amazon. 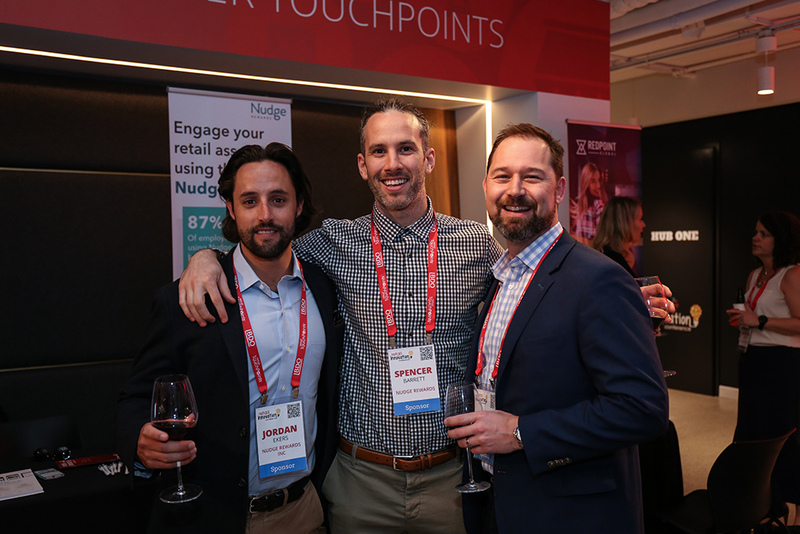 #RIC18 offered two jam-packed days content and networking opportunities, featuring insights from retail’s brightest minds. 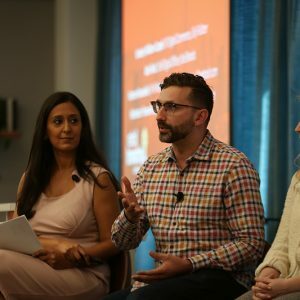 Executives from Walmart, West Elm, Crocs and more shared insights into how their organizations are succeeding in the current retail environment, providing valuable real-world examples with takeaways for every type of company. 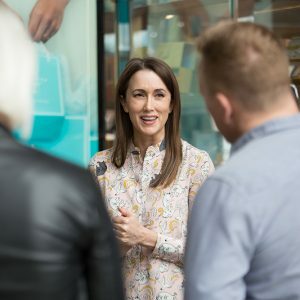 Sessions were broken into six different tracks, including: Marketing/Customer Engagement, Customer Experience, Digital Strategies, Operations, Omnichannel Commerce and Innovation. 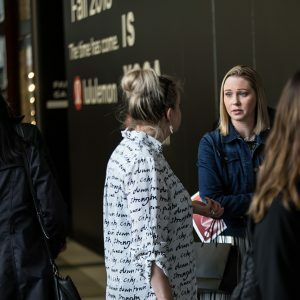 Shopper behaviouralist Ken Hughes explains the eight key values that motivate Gen Z shoppers: Freedom; The “Weconomy”; Flexibility: Desire for instant gratification; Expectancy; “Phygital”; Customization; and Authenticity. 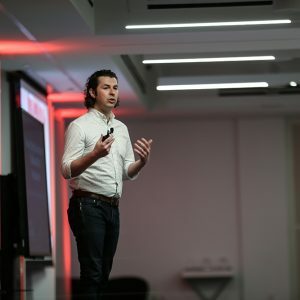 More #RIC18 sessions are available here. Sit back and relax and enjoy incomparable takeaways from industry experts. 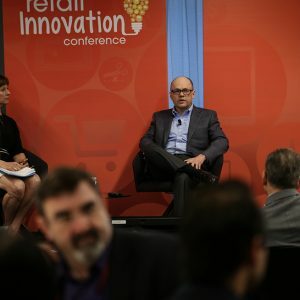 During the conference, 28 retail executives were honored as Retail Innovator Award (RIA) winners. 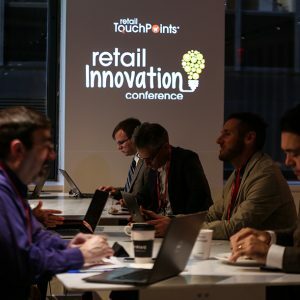 Now in its 5th year, RIA spotlights leaders who are using innovative strategies to disrupt the retail environment. 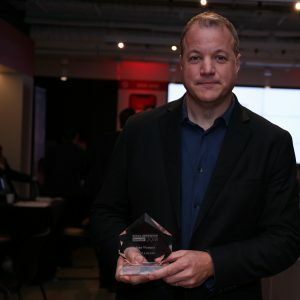 Awards were presented in the following seven categories: Tech Innovator, Data Guru, Operations Operative, Loyalty Leader, Mobile Mogul, Influencer Marketing Pro and Disruptor. 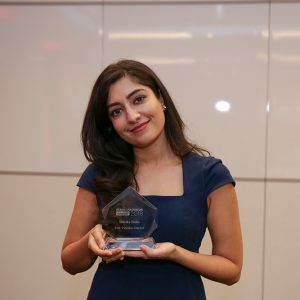 The Veneka Group’s Shivika Sinha poses with her Retail Innovator Award. She won in the “Disruptor” category. 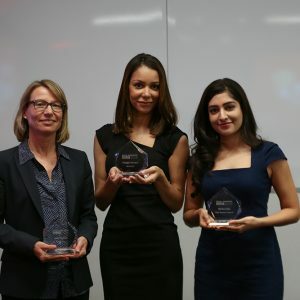 Eileen Mockus (Coyuchi), Monique Salvador (Blushup) and Shivika Sinha (The Veneka Group) pose with their Retail Innovator Awards. 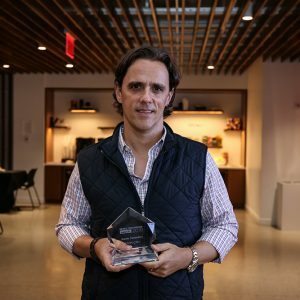 UNTUCKit’s Aaron Sanandres poses with his Retail Innovator Award. He won in the “Data Guru” category. 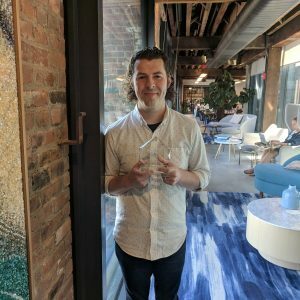 West Elm’s Luke Chatelain poses with his Retail Innovator Award. He won in the “Data Guru” category. 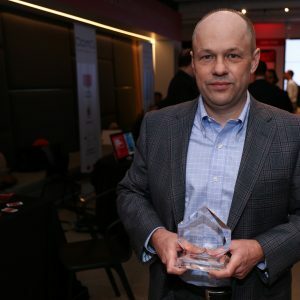 Walmart’s Clay Johnson poses with his Retail Innovator Award. He won in the “Tech Innovator” category. 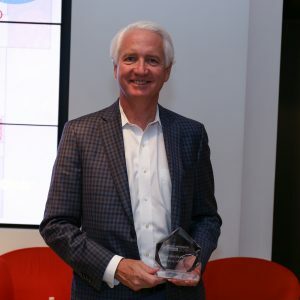 Foot Locker’s John Wompey poses with his Retail Innovator Award. He won in the “Loyalty Leader” category. 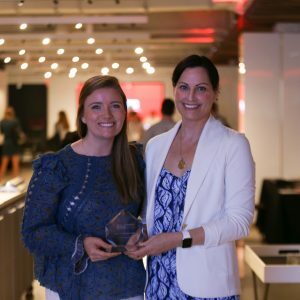 Lilly Pulitzer’s Kimberly Williams-Czopek poses with her Retail Innovator Award. She won in the “Mobile Mogul” category. 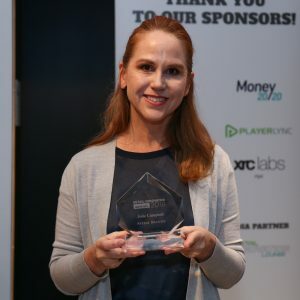 Astral Brands’ Julie Campbell poses with her Retail Innovator Award. 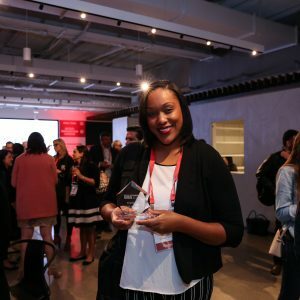 She won in the “Influencer Marketing Pro” category. 1-800-Flowers.com Inc.’s Chris McCann poses with his Retail Innovator Award. He won in the “Tech Innovator” category. 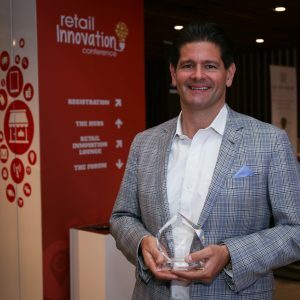 BEDGEAR’s Eugene Alletto poses with his Retail Innovator Award. He won in the “Disruptor” category. 99 Cents Only Stores’ Erin Estelle poses with her Retail Innovator Award. She won in the “Data Guru” category. 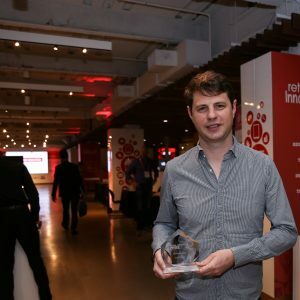 Adore Me’s Romain Liot poses with his Retail Innovator Award. He won in the “Operations Operative” category. Check out the full list of winners now and be inspired by the results these innovators have achieved. 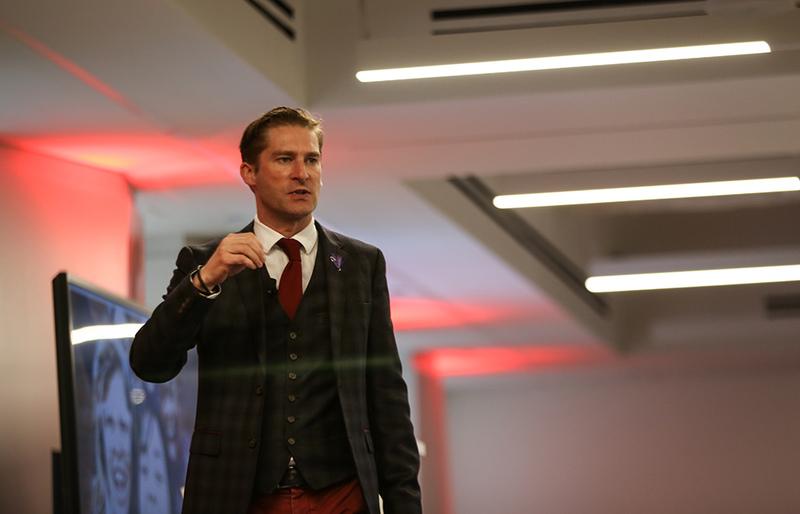 #RIC18 was a great success, due in part to the support of our sponsors and attendees. We’ll be working hard to make sure #RIC19 is even bigger and better. We hope to see you again next year!